Located in the heart of Northbridge, 1 Museum Street is the only surviving historical residential building in the area. Built in 1897, the building is an attractive example of a pair of two-storey semi-detached houses in the Federation Queen Anne style. They were erected for Lydia Farmer by builder, George Napier. In the late 19th century, there were many residences in this district. The area around Museum Street was part of the rapid expansion of building in Western Australia during the gold boom. 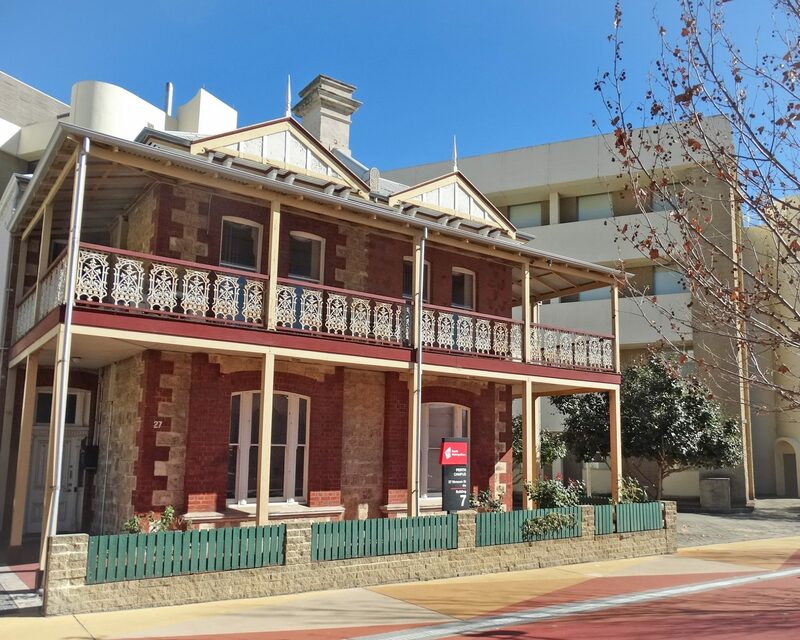 Buildings such as 1 Museum Street were constructed as investment properties to provide accommodation for the affluent tenants who were beginning to move into central Perth. At the time it was erected, 1 Museum Street was part of a bigger development, having been put up at the same time as the Museum, Art Gallery and Library, and the Swan Barracks. The only downside was that the area was associated with some of the more infamous brothels in Perth. Today, 1 Museum Street is used by the Central Institute of Technology and stands as a reminder of a time when the area was more residential.